Conference of Presidents, Orthodox Union and ADL welcome President Trump’s remarks at Holocaust Memorial Museum. 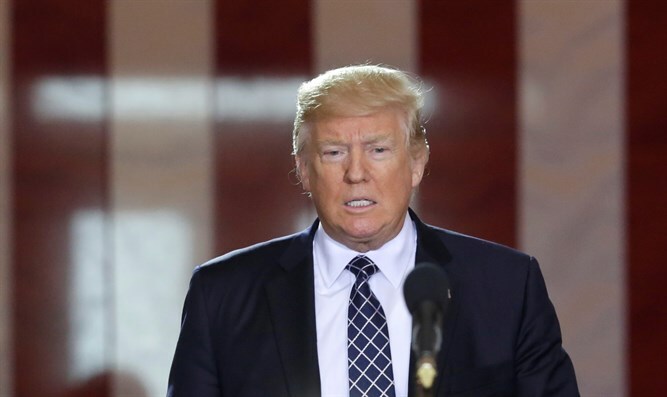 Jewish organizations in the United States on Tuesday welcomed President Donald Trump’s remarks at the Holocaust Memorial Museum in Washington DC. Conference of Presidents leaders applauded Trump’s solemn commemoration of the Nazi genocide and welcomed his forceful condemnation of all forms of anti-Semitism and hate. “In his remarks today at the United States Holocaust Memorial Museum National Days of Remembrance event at the U.S. Capitol, President Trump solemnly commemorated the six million innocent Jews whose lives were snuffed out in the Holocaust and those millions of others brutally murdered by the Nazis and honored the survivors and those who risked their own lives to defeat the Nazi scourge,” said Stephen M. Greenberg, Chairman and Malcolm Hoenlein, Executive Vice Chairman/CEO of the Conference of Presidents. “The President also clearly and forcefully condemned all forms of anti-Semitism, calling out Holocaust denial, threats to Israel’s existence, anti-Semitic discourse and rhetoric and attacks on Jewish communities,” they continued. The Union of Orthodox Jewish Congregations of America, the nation’s largest Orthodox Jewish umbrella organization, also welcomed Trump’s remarks. “We deeply appreciate President Trump’s heartfelt remarks today commemorating the Holocaust and honoring the memory of the six million Jewish people mercilessly killed by the Nazi regime. The president’s pledge to confront anti-Semitism and condemn prejudice and hatred comes at an important time for the Jewish community in the United States and across the world,” said Orthodox Union President Mark Bane. The Anti-Defamation League (ADL) welcomed Trump’s pledge to confront anti-Semitism his remarks at the museum. “It deeply matters that President Trump used the power of his office to stand against anti-Semitism and hate and to honor the memory of the six million Jews and millions of others murdered in Europe. But this spirit should not be restricted to Holocaust Remembrance Day. We very much hope the president will continue to use his bully pulpit to speak out against anti-Semitism, bigotry, and hatred in all forms. We urge the president and his administration to act to protect targeted communities against hate crime and discrimination,” he added.